We offer you the best Solution to Encode, Stream and Deliver Video Content Live and On-Demand. Our Online Videostreaming platform provides you with the necessary solutions for publishing any kind of video content, whether you are expecting ten, 10,000 or even more viewers. We offer you a smart Video Hosting solution to deliver any kind of video content. Prepare your content for publishing. 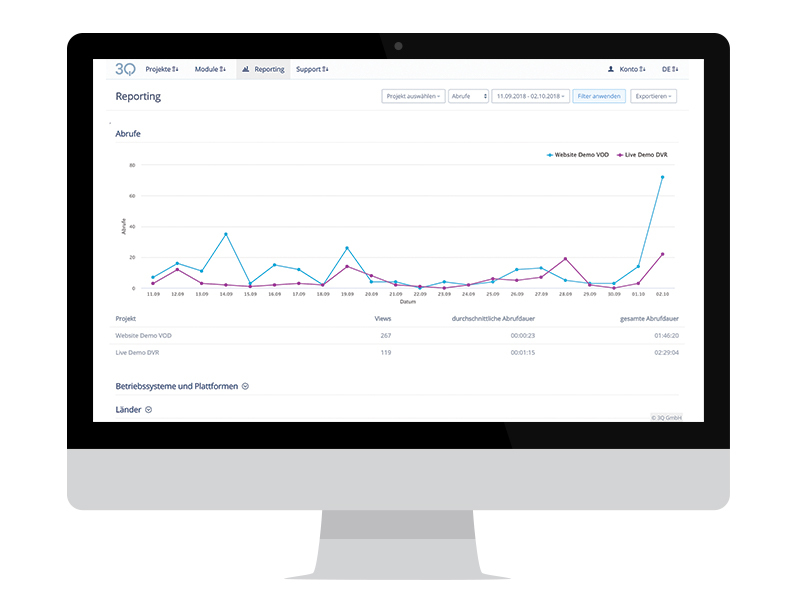 Control, plan and manage the distribution of your portals and partner pages. We make it easy for you to upload, encode and publish video content. Our player makes it easy to embed videos into websites. With our high-performance and scaling infrastructure, we guarantee to provide fast, secure and reliable delivery of your media. Using our analytics, you can analyse the distribution and usage of your videos. Monitoring all events allows us to tell you exactly how your content is being used. We will help you to identify trends and rate your videos based on performance. 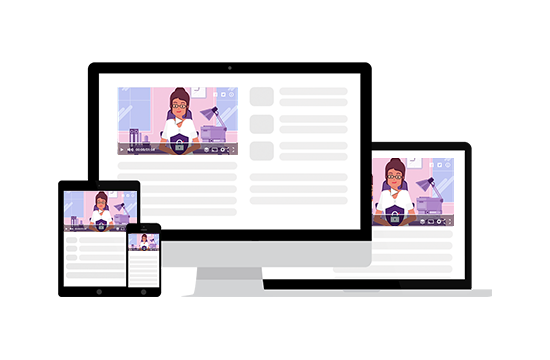 Put your content on any device with our own engine. We operate our own backbone network in various data centres around the globe. Push your content to social media channels or third party providers. Use your adserver or deliver your content behind a paywall. With our Universal DRM, licensing is child’s play. Integrate your content in Google’s AMP without any problems. Combine and extend your livestreams with additional content. Combine video and audio files into playlists. Record your livestreams and publish them. Just register, choose a package and get started.